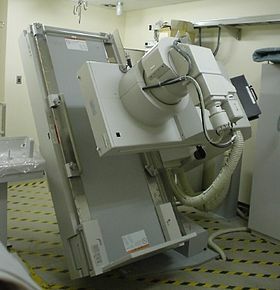 Fluoroscopy (/flʊəˈrɒskəpi/) is an imaging technique that uses X-rays to obtain real-time moving images of the interior of an object. In its primary application of medical imaging, a fluoroscope (/ˈflʊərəskoʊp/) allows a physician to see the internal structure and function of a patient, so that the pumping action of the heart or the motion of swallowing, for example, can be watched. This is useful for both diagnosis and therapy and occurs in general radiology, interventional radiology, and image-guided surgery. In its simplest form, a fluoroscope consists of an X-ray source and a fluorescent screen, between which a patient is placed. However, since the 1950s most fluoroscopes have included X-ray image intensifiers and cameras as well, to improve the image's visibility and make it available on a remote display screen. For many decades fluoroscopy tended to produce live pictures that were not recorded, but since the 1960s, as technology improved, recording and playback became the norm. The use of X-rays, a form of ionizing radiation, requires the potential risks from a procedure to be carefully balanced with the benefits of the procedure to the patient. Because the patient must be exposed to a continuous source of X-rays instead of a momentary pulse, a fluoroscopy procedure generally subjects a patient to a higher absorbed dose of radiation than an ordinary (still) radiograph. Only important applications such as health care, bodily safety, food safety, nondestructive testing, and scientific research meet the risk-benefit threshold for use. In the first half of the 20th century, shoe-fitting fluoroscopes were used in shoe stores, but their use was discontinued because it is no longer considered acceptable to use radiation exposure, however small the dose, for nonessential purposes. Much research has been directed toward reducing radiation exposure, and recent advances in fluoroscopy technology such as digital image processing and flat panel detectors, have resulted in much lower radiation doses than former procedures. Nowadays, in all forms of digital X-ray imaging (radiography, fluoroscopy, and CT) the conversion of X-ray energy into visible light can be achieved by the same types of electronic sensors, such as flat panel detectors, which convert the X-ray energy into electrical signals, small bursts of current that convey information that a computer can analyze, store, and output as images. As fluorescence is a special case of luminescence, digital X-ray imaging is conceptually similar to digital gamma ray imaging (scintigraphy, SPECT, and PET) in that in both of these imaging mode families, the information conveyed by the variable attenuation of invisible electromagnetic radiation as it passes through tissues with various radiodensities is converted by an electronic sensor into an electric signal that is processed by a computer and made output as a visible-light image. 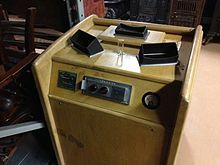 More trivial uses of the technology also appeared in the 1920s–1950s, including a shoe-fitting fluoroscope used at shoe stores. Concerns regarding the impact of frequent or poorly-controlled use were expressed in the 1950s, leading to new guidelines, regulations and ultimately the practise's end by the early 1960s. They are no longer used because the radiation exposure risk outweighs the trivial benefit. Only important applications such as health care, bodily safety, food safety, nondestructive testing, and scientific research meet the risk-benefit threshold for use. 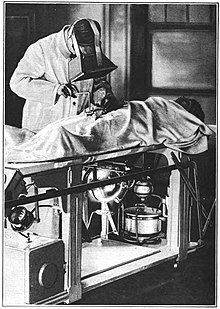 Today, owing to technological convergence, the word fluoroscopy is widely understood to be a hypernym of all the earlier names for moving pictures taken with X-rays, both live and recorded. Also owing to technological convergence, radiography, CT, and fluoroscopy are now all digital imaging modes using X-rays with image analysis software and easy data storage and retrieval. Just as movies, TV, and web videos are to a substantive extent no longer separate technologies but only variations on common underlying digital themes, so too are the X-ray imaging modes. And indeed, the term X-ray imaging is the ultimate hypernym that unites all of them, even subsuming both fluoroscopy and four-dimensional CT (4DCT) (4DCT is the newest form of moving pictures taken with X-rays). However, it may be many decades before the earlier hyponyms fall into disuse, not least because the day when 4D CT displaces all earlier forms of moving X-ray imaging may yet be distant. Image intensifiers have been introduced that increase the brightness of the screen, so that the patient needs to be exposed to a lower dose of X-rays. Whilst this reduces the risk of ionisation occurring, it does not remove it entirely. Negative radiographic contrast agents are air and carbon dioxide (CO2). The latter is easily absorbed by the body and causes less spasm. It can also be injected into the blood, where air absolutely cannot due to the risk of an air embolism. Lumbar puncture, the fluroscopy helps to guide where the needles of the spinal tap can go. With this procedure it is much easier because of positioning on side or stomach and can cause less attempts of punctures. 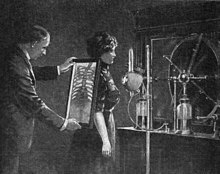 ^ "fluoroscope". Oxford Dictionaries. Oxford University Press. Retrieved 2016-01-20. ^ "X-ray shoe fitting, London (1921)". Democrat and Chronicle. 1921-07-03. p. 2. Retrieved 2017-11-05. ^ "X-ray shoe fitting with foot-o-scope (1922)". The Scranton Republican. 1922-09-27. p. 9. Retrieved 2017-11-05. ^ "X-ray shoe fitting machine (1923)". El Paso Herald. 1923-04-04. p. 3. Retrieved 2017-11-05. 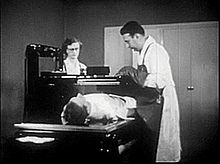 ^ "Shoe-Fitting Fluoroscope (ca. 1930-1940)". Health Physics Instrumentation Museum. ORAU. ^ "T. C. BEIRNE'S X-RAY SHOE FITTING". Telegraph (Brisbane, Qld. : 1872 - 1947). 1925-07-17. p. 8. Retrieved 2017-11-05. ^ "THE PEDOSCOPE". Sunday Times (Perth, WA : 1902 - 1954). 1928-07-15. p. 5. Retrieved 2017-11-05. ^ "X-RAY SHOE FITTINGS". Biz (Fairfield, NSW : 1928 - 1972). 1955-07-27. p. 10. Retrieved 2017-11-05. ^ "Your children need x-ray shoe fitting - advertisement (1941)". The Wellsboro Gazette. 1941-07-09. p. 4. Retrieved 2017-11-05. ^ "New X-Ray Shoe Machine Provides Better Fitting (1935)". The Eugene Guard. 1935-05-30. p. 8. Retrieved 2017-11-05. ^ "X-Ray machines for shoe fitting kept in repair (1951)". Panama City News-Herald. 1951-10-08. p. 12. Retrieved 2017-11-05. ^ "SHOE X-RAY DANGERS". Brisbane Telegraph (Qld. : 1948 - 1954). 1951-02-28. p. 7. Retrieved 2017-11-05. ^ "X-ray shoe sets in S.A. 'controlled'". News (Adelaide, SA : 1923 - 1954). 1951-04-27. p. 12. Retrieved 2017-11-05. ^ "Warning to parents about x-ray shoe fittings (1957)". Rocky Mount Telegram. 1957. p. 10. Retrieved 2017-11-05. ^ "The Doctor Says: repeated x-ray shoe fittings may be injurious to feet (1952)". Mt. Vernon Register-News. 1952-04-17. p. 4. Retrieved 2017-11-05. ^ "Danger from x-ray machines (1950)". The Mason City Globe-Gazette. 1950-12-14. p. 28. Retrieved 2017-11-05. ^ "Shoe shop x-rays to be supervised, Australia (1951)". The Age. 1951-02-28. p. 5. Retrieved 2017-11-05. ^ "X-ray fitting time limited (1951)". Marysville Journal-Tribune. 1951. p. 3. Retrieved 2017-11-05. ^ "X-ray shoe fitting stores required to register by July 1 (1953)". The Brooklyn Daily Eagle. 1953-05-25. p. 3. Retrieved 2017-11-05. ^ "Bill to ban x-ray machines in shoe stores hits snag, Ohio (1957)". The Sandusky Register. 1957-04-16. p. 1. Retrieved 2017-11-05. ^ "Pennsylvania halts x-ray shoe fitting (1957)". The Eugene Guard. 1957. p. 10. Retrieved 2017-11-05. ^ "Ban On Shoe X-ray Machines Resented". Canberra Times (ACT : 1926 - 1995). 1957-06-26. p. 4. Retrieved 2017-11-05. ^ "Stricter X-Ray Control Drafted (1962)". The Daily Times. 1962-12-22. p. 12. Retrieved 2017-11-05. ^ "X-rays cause more radiation than H-bomb (1956)". Marysville Journal-Tribune. 1956-10-24. p. 1. Retrieved 2017-11-05. ^ "Waukegan bars shoe store x-rays, Illinois (1958)". Mt. Vernon Register-News. 1958-08-28. p. 19. Retrieved 2017-11-05. ^ "Electrons Now Brighten X Ray." Popular Science, August 1948, pp. 132-133. ^ U.S. Patent 3,482,093, see also this patent, titled "Fluoroscopy", referencing US Patent 3277302 to Weighart and detailing the fluoroscopy procedure for nondestructing testing. ^ Google Ngram of the entire fluoroscopy word list. ^ Google Ngram of videofluorography and videofluoroscopy. ^ UPMC Cancer Center, What is a 4D CT Scan?, retrieved 2015-02-14. ^ "Radiation-induced Skin Injuries from Fluoroscopy". FDA. ^ Shope, T. B. (1996). "Radiation-induced skin injuries from fluoroscopy" (PDF). Radiographics. 16 (5): 1195–1199. doi:10.1148/radiographics.16.5.8888398. PMID 8888398. ^ "Public Health Advisory on Avoidance of Serious X-Ray-Induced skin Injuries to Patients During Fluoroscopically-Guided Procedures". FDA. September 30, 1994. ^ Valentin, J. (2000). "Avoidance of radiation injuries from medical interventional procedures". Annals of the ICRP. 30 (2): 7–67. doi:10.1016/S0146-6453(01)00004-5. PMID 11459599. ^ Balter, S.; Hopewell, J. W.; Miller, D. L.; Wagner, L. K.; Zelefsky, M. J. (2010). "Fluoroscopically Guided Interventional Procedures: A Review of Radiation Effects on Patients' Skin and Hair" (pdf). Radiology. 254 (2): 326–341. doi:10.1148/radiol.2542082312. PMID 20093507. ^ "Last Image Hold Feature". Fluoroscopic Radiation Management. Walter L. Robinson & Associates. Retrieved April 3, 2010. ^ Wang, J.; Blackburn, T. J. (September 2000). "The AAPM/RSNA physics tutorial for residents: X-ray image intensifiers for fluoroscopy". Radiographics. 20 (5): 1471–1477. doi:10.1148/radiographics.20.5.g00se181471. ISSN 0271-5333. PMID 10992034.